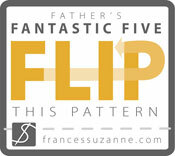 I know I've mentioned how much I love Flip this Pattern, right? Well, I've sewn along again. 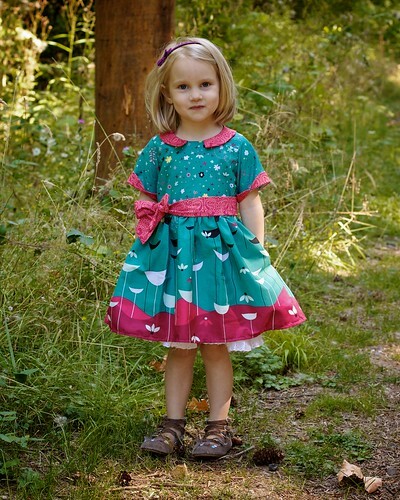 This time it was the Tinny Dress from straight grain. I didn't' do anything terribly exciting with the pattern this time. 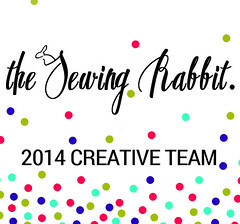 There are so many options with the pattern (three collars, two sleeve cuffs and three skirt options!) that I couldn't think of anything I'd actually change. I did add a belt and side seam pockets, though. I really enjoyed this pattern. It sewed up quickly, but it doesn't skimp on detail at all. It looks professional and the fit is spot on. The instructions were clear and I love that the pattern came with a print key so that I could print just the pieces I wanted from the pattern. Perfection! 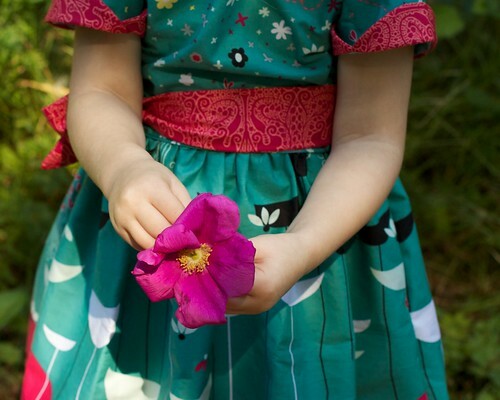 The fabric I chose for this was Nordika by Jeni Baker and a coordinating print. I've had my eye on this fabric for a while and I was just waiting for the right pattern to put it with. Tinny seemed like a match made in heaven. I used the beautiful tulip cuffs and the open collar. I added a belt and tied a small bow on the side. and I also added hidden side pockets in the same coordinating fabric. Now Miss can carry her treasures with her. Usually Littlest Pet Shop or coins she's found laying around. As usual, you can click on any image and view them full size in my flickr account. This is really beautiful. I love the additional of practical pockets on such a girly, pretty dress! great sewing. love the pocket addition. And those fabric choices are gorgeous! 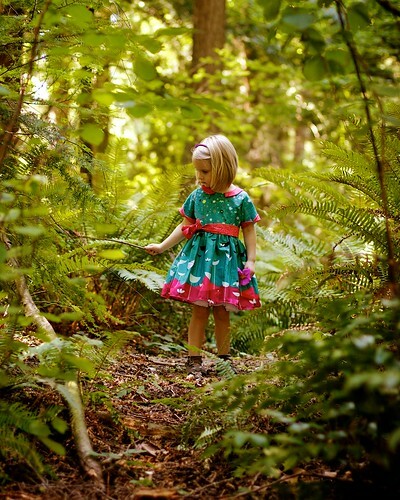 Oh, I wish I would have put pockets in mine:) Beautiful shots of your little girl in such a sweet dress! 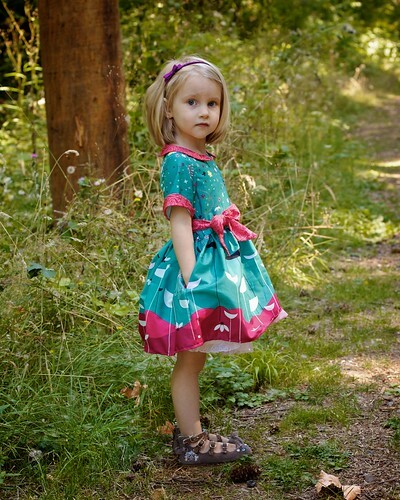 Beautiful dress and love your choice of fabric! Your dress is absolutely gorgeous! PS. Loved your blog and your creations! Oh my goodness, hands down cutest use of the panel! So adorable! This is seriously beautiful! Your choice of fabric is very compliment the dress. Love your shots, they are stunning as I would see in magazine. That fabric is lovely! The edging pattern is so pretty. It fits perfectly with this dress. I just adore this whole look. Such a sweet looking dress. 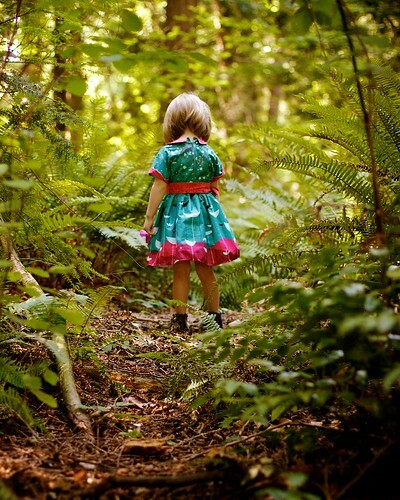 Your pictures are adorable and the dress is darling! Your Tinny is definitely my favorite - just plain GORGEOUS! Thanks for all the positive feedback! She's already worn it twice! This is absolutely gorgeous, and you're fabric choice is spot on! It look like it was made just for this dress! 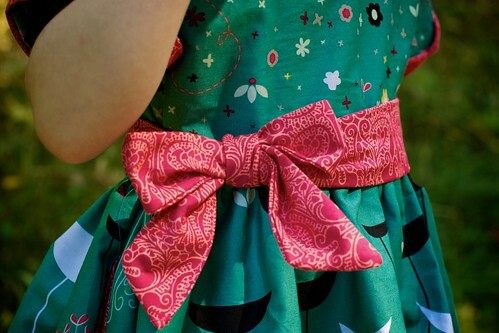 I'm in love with this fabric too! Your dress, and photos, are gorgeous. And I've just made a 'flipped Tinny' in thisNordika print ... although the result is really quite different. It's such a simple and versatile pattern. 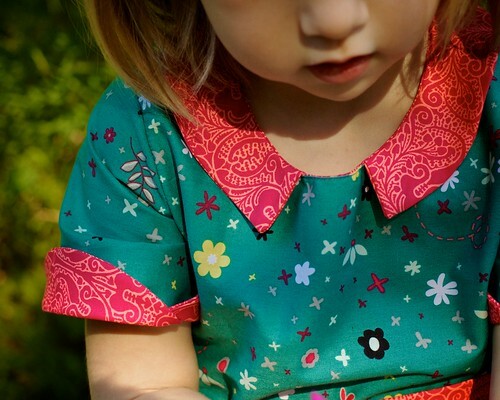 I'd love it if you pop over to as-it-seams.blogspot.co.uk and take a look!